Who will survive when "Grey's Anatomy" returns? It's "the most devastating event of their lives," only who will survive? To quote the Chief, if you think you're prepared for this clip, you're not. Following the plane crash that has already claimed Lexie's (Chyler Leigh) life, Arizona (Jessica Capshaw) and Mark's (Eric Dane) fate was -- pardon the bad pun -- left up in the air as both were clinging to life. Arizona was coughing up blood with a severely injured leg, while Mark had internal injuries that forced Cristina (Sandra Oh) and Meredith (Ellen Pompeo) to perform a risky surgery in the middle of the woods. The short promo finds the survivor (or survivors?) at a hospital that clearly isn't Seattle Grace -- perhaps they did make it to Boise Memorial? -- and being rushed into surgery. Showrunner Shonda Rhimes told The Hollywood Reporter in late July that it's "possible" that there will be other fatalities to come and that "any number of people could be departing at this point." 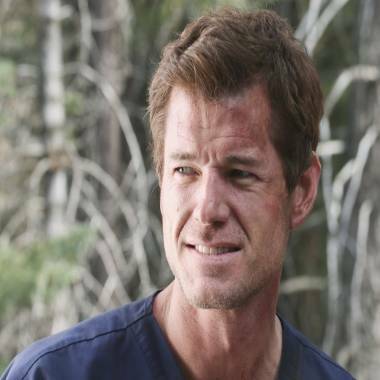 Dane, for his part, has already confirmed that he'll be exiting the series, but will McSteamy be joining Lexie or leaving by choice? Check out the clip below and then go to our Facebook page and tell us who you think will survive. "Grey's Anatomy" returns Thursday, Sept. 27 at 9 p.m. on ABC.